Jaguar is Electrifying Classic Cars -- Should BMW Join In? Jaguar is Electrifying Classic Cars — Should BMW Join In? Just ahead of the famous Goodwood Revival, a three-day festival of incredible classic car racing, Jaguar recently unveiled an interesting take on a classic. The Jaguar E-Type is largely considered to be the most beautiful car ever made. Enzo Ferrari himself said so. Not only is it gorgeous, it’s a sensational car. The Series I E-Type’s straight-six engine made an incredible noise and made it even faster than many Ferraris, for a fraction of the cost. Its engine was its heart and soul. So it’s extra shocking when Jaguar swaps all of its mechanical powertrain components for an electric motor, battery and some wiring. Apparently, this is something Jaguar could be doing now. The famous British brand already has an impressive classic’s division that will make customers almost whatever they want. 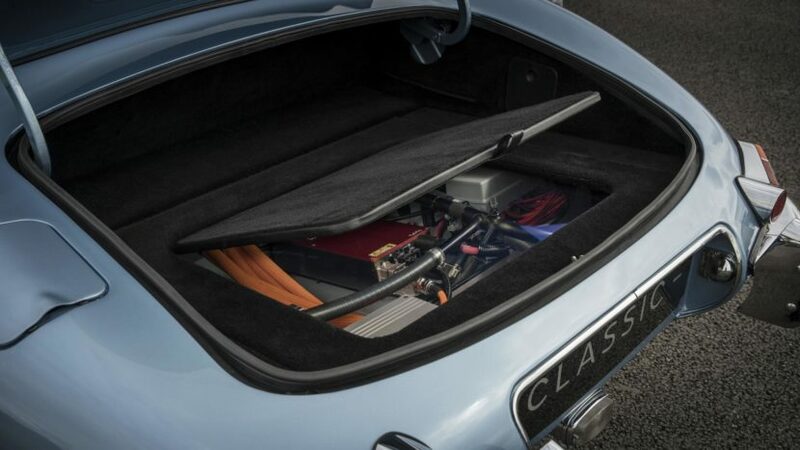 Now, though, Jag will be offering electrification for older classic cars, not just the E-Type. The idea is that customers will still like to drive something with classic, vintage style and beauty while also conforming to many of Europe’s city emissions restrictions. So Jaguar sees it as a way to keep classic-car ownership alive, even when city restrictions prohibit the burning of fossil fuels. “We know there’s an audience out there that is attracted to the style of a classic car, but doesn’t want the inconvenience that can sometimes come with it. We also understand it’s not for everyone, and the guys who crave originality might have issues with it. But we think this is a way of future-proofing classic car ownership. We’re showing it to some of our clients, and we’ll see what the market makes of the concept.” said JLR Classic director Tim Hannig. It’s actually an interesting idea. On one hand, it’s brilliant, as it allows classic cars to basically be immortalized, even after the internal combustion engine dies. On the other hand, it sort of ruins the idea of a classic car because the whole point of driving one is to take yourself back to a different time. Half the charm of driving an old classic is having to use its quirky old-school mechanics. 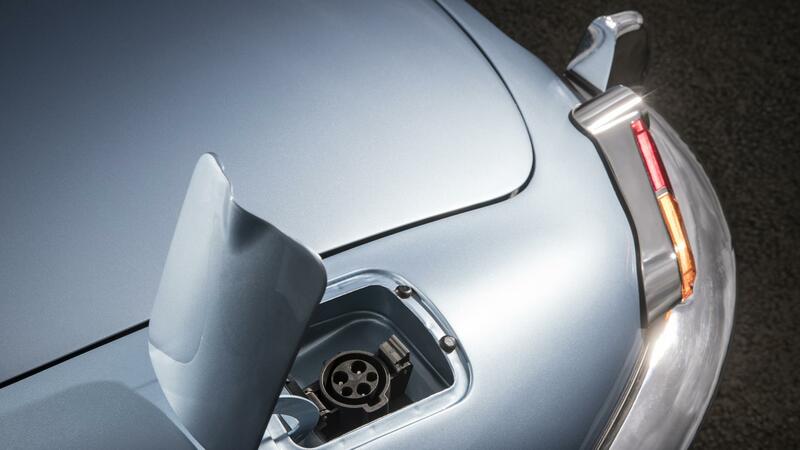 So the question is, should BMW get involved in such classic-car electrification? The Bavarians aren’t without their gorgeous classics either. The BMW 507 is one of the most beautiful roadsters ever made, the BMW M1 was a Giugiaro-designed supercar and the 3.0 CSL is a stunning coupe with great motorsport pedigree. All of which are classic BMWs that have style and beauty to last lifetimes. But if collectors who own these cars in London or Paris or Brussels want to drive their cars in the city that they live in, they’re going to have to think about converting them in the next 20 years or so. Would it be too sacrilegious for BMW to electrify one of those cars? Imagine taking the brilliant, Paul Rosche-designed 3.5 liter I6 out of an M1 and put some batteries and an electric motor in its place? Would it ruin the drama of the 3.0 CSL to have only an electric whine coming from it, rather than the monstrous noise of its 3.0 liter I6? It’s an interesting concept and one that will likely cause considerably mixed reactions. And I’m sure you all have opinions on the matter. So let’s hear ’em. Previous post VIDEO: Which BMW M5 sounds best — E39, E60 or F90?